Set of 7 Lacrosse Weighted Pylons. 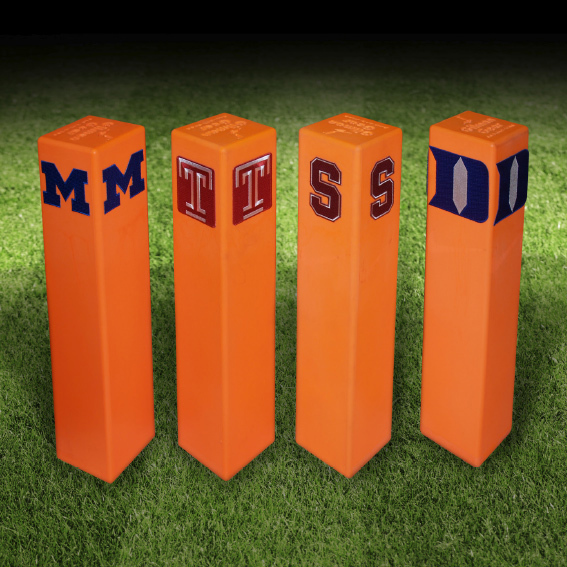 Lacrosse Weighted Pylons are self standing pylons made of a high-tech "I" skin molded foam. With a weight embedded at the bottom, they are the heaviest pylons on the market! Won't blow over! Always stands straight. Safe if stepped on because of the shock absorbing properties of the foam. Fluorescent color makes it highly visible and eye-catching. Designed for use on both grass and turf fields. Available in sets of 7.